Survivor Jewelry is about people surviving. But, the site has been quiet for a little while, because sometimes survivors have to drop everything to help others survive. Crisis can arise without warning. Accidents happen. Unforeseen traumas occur. Life gets put on hold to fight for life to continue or to sit vigil with someone fighting. We can suddenly be faced with an urgent version of hurry up and wait. Waiting for word, waiting for treatment, waiting for outcomes, waiting for pain to stop and waiting to heal. Fighting to survive has a lot of waiting in it. 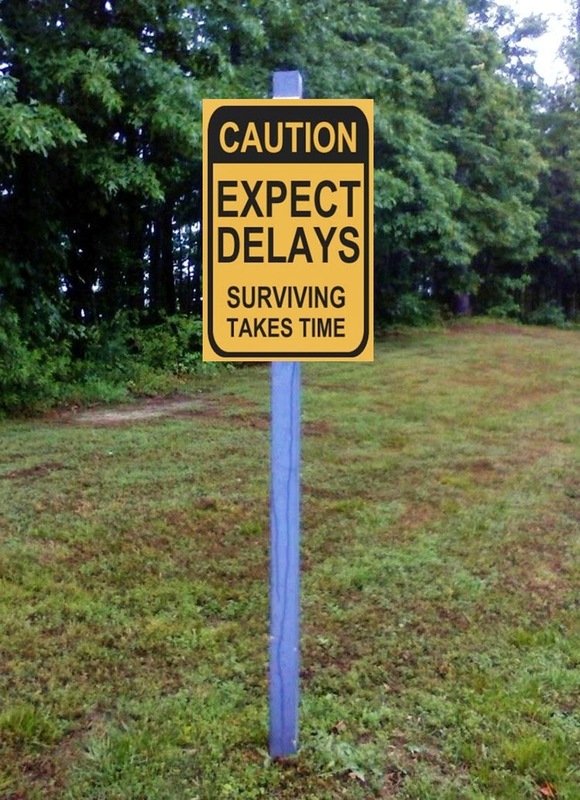 We can all expect delays. Crisis is not averted in a moment. Healing does not occur overnight. The unfortunate truth is that trauma tends to remain traumatic for a while. Be prepared for the wait. Be prepared that waiting is expensive, stressful, painful and hard. Healing takes a lot of time and effort. Allow yourself moments to decompress and recompose. Forgive yourself for over reactions and fear. Do not let go of hope, no matter how hopeless things may feel. Be thankful for every second with the people you love, even when the minutes tick by endlessly. 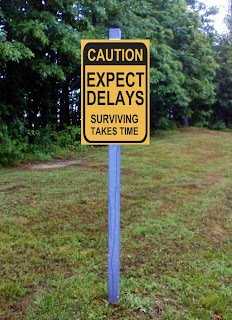 Expect delays, but never stop fighting to survive or for those you love's survival.